and then later as a waitress. During it all I needed a creative outlet and decided to start a small business. I began by making flower clips (very aptly called 'Flower eCLIPse' - yes you can laugh if you like) and brooches. 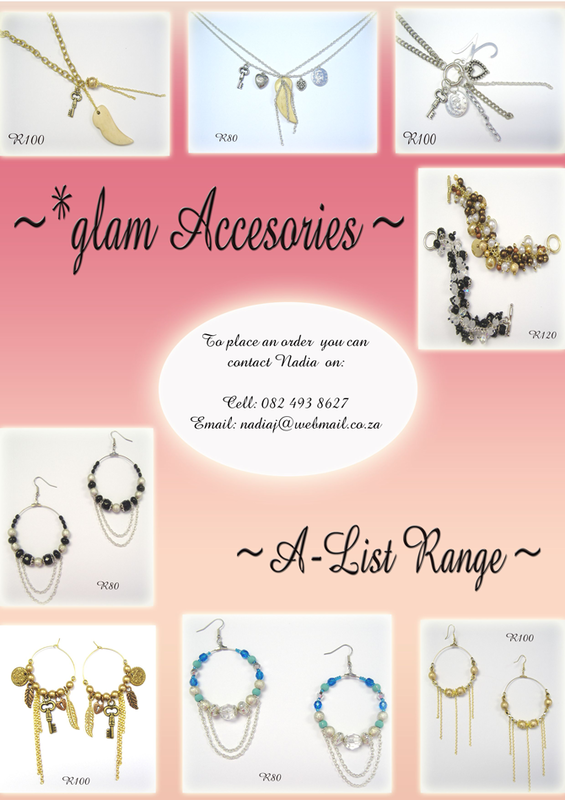 The name of my new business was... (wait for it) *glam Accessories. How unique (ha ha)! I was so nervous for my first meeting with a boutique owner to show her my wares. It was a challenging and exciting process! She placed a huge order and I was overjoyed. The making process was hard work, but my parents were so helpful - offering advice, helping me to work with costings and my dad taught me my first lesson on creating a production line (life changing)! When I received my first cheque upon delivery - I was hooked! The business continued to grow even as I moved into my first real job in marketing. It was my biggest love at the time - I spent all my extra money on supplies, I researched, I stayed up all night making and I was was always off to the craft shop. The 'fabulous' flower clips and brooches gave way to beaded accessories and I continued to get orders. I stocked several shops and created personal orders for clients. I loooooved it! I still own quite a few pieces that I made during that time and almost a decade later they are still in tact. This post wouldn't be complete without photos and I'm so happy that back then I photographed almost every single piece. So here they are... keep in mind changing fashion and skill levels and don't laugh too much! And... my very first advert! What a beauty (he he). What I love about sharing this is the fact that I'm still proud of these accessories because they were my first window into owning my own creative business. We all value those first few rands we made through doing what we love.